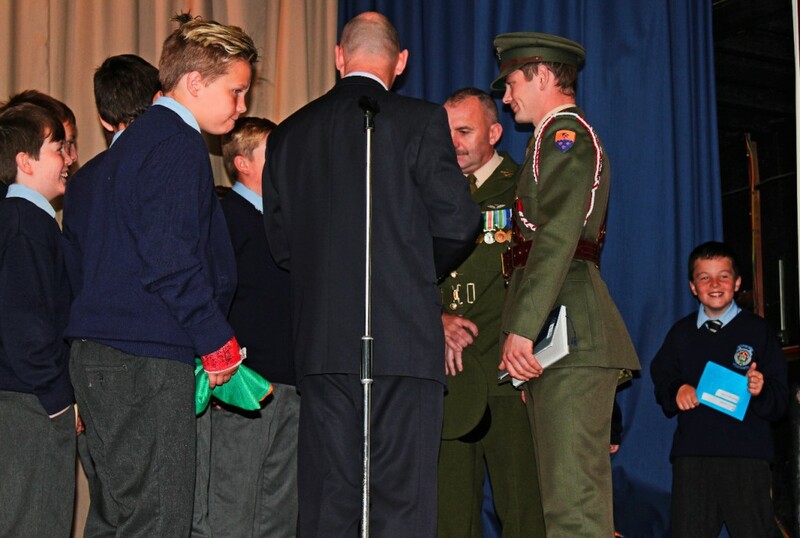 Today marked a very special and unique occasion in the long history of our famous school. 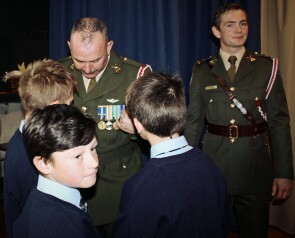 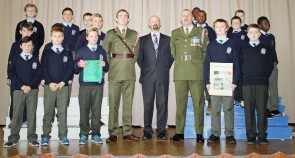 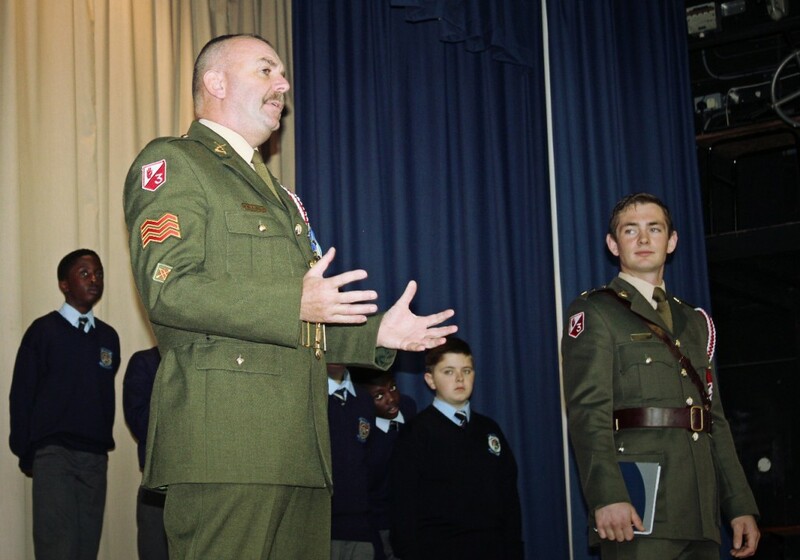 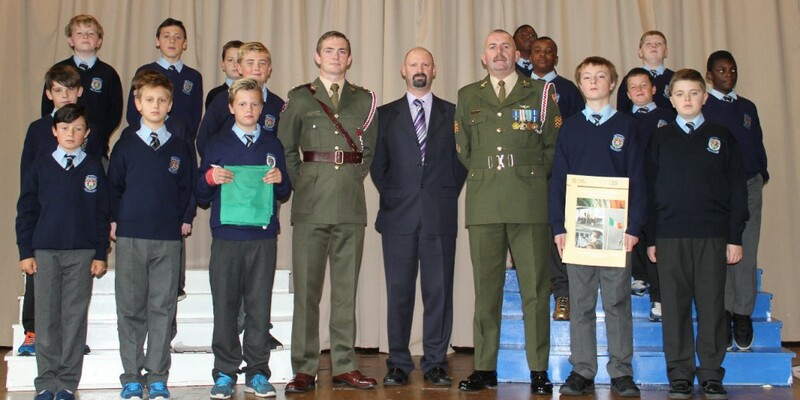 We were honoured to be joined in the school by Lieutenant Flood and Sergeant Kennedy of the Irish Defence Forces. 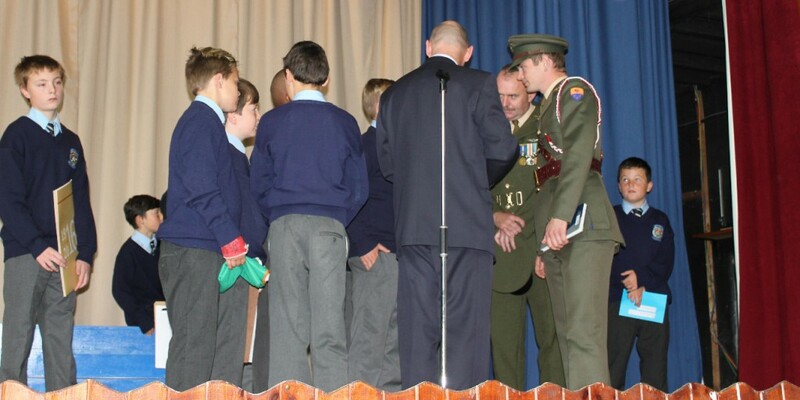 These gentlemen attended our school in order to present us with a copy of the Proclamation read by the leaders of the 1916 Rising and our national flag, the Tricolour. 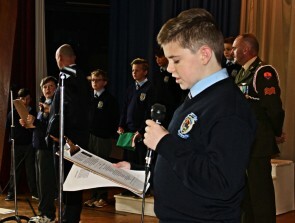 It marks the beginning of our commemoration of this pivotal event in the history of our nation. 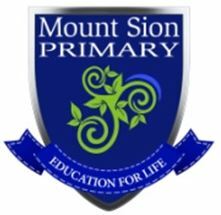 All at Mount Sion are especially proud as many of those involved in the Rising were past pupils of CBS schools just like ours! 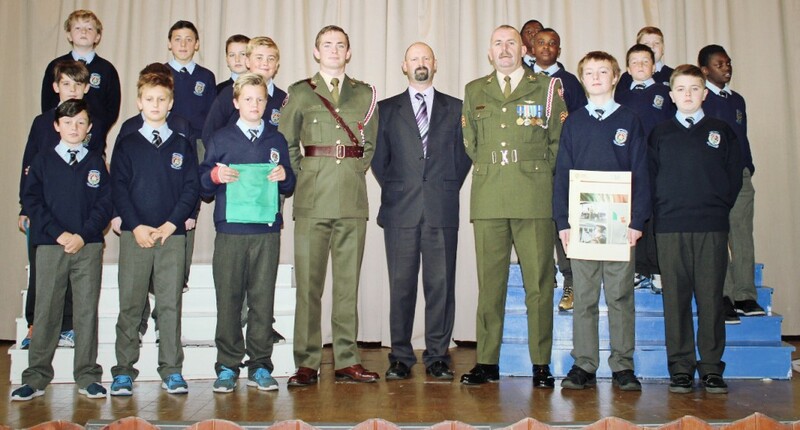 Padraic Pearse, Eamonn Ceannt, Con Colbert, Sean Heuston and many others received their education in CBS schools! 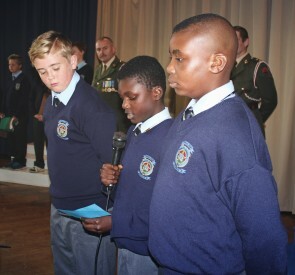 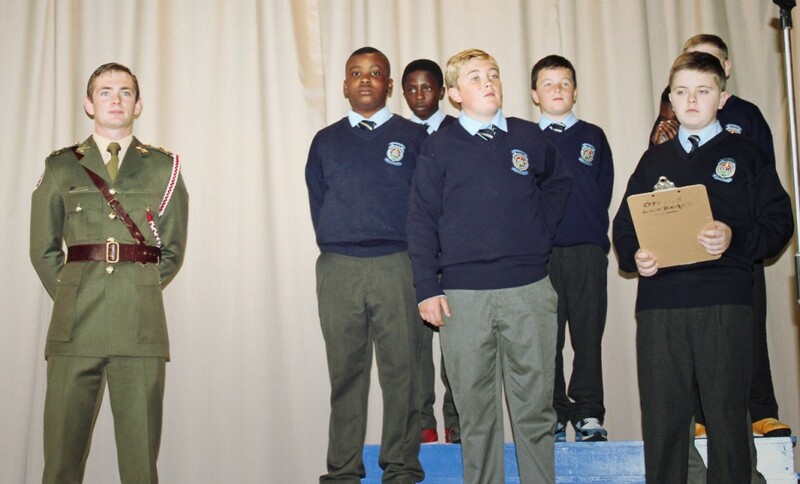 During the ceremony our fifth and sixth class boys recited poetry such as Yeats’ “Easter 1916″, “The Wayfarer” and “Mise Eire” by Pearse while Edward Lambert read aloud the Proclamation. 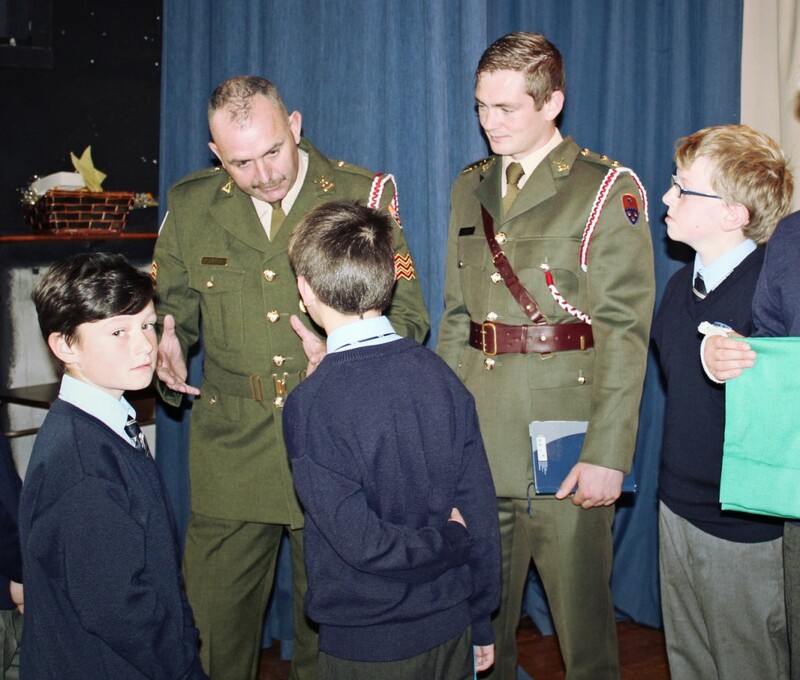 Daragh McGrath and Paul Keane accepted our new Tricolour and Proclamation and our next task is to find a suitable spot to display our new Proclamation! 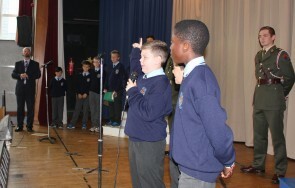 The day was rounded off by our boys singing “Amhrán na bhFiann!” Well done to all involved!